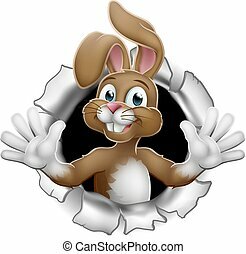 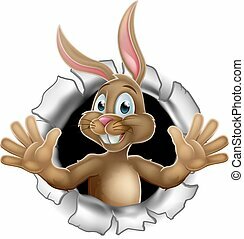 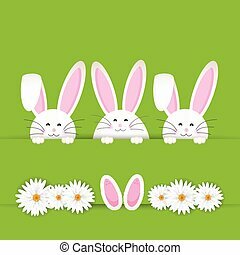 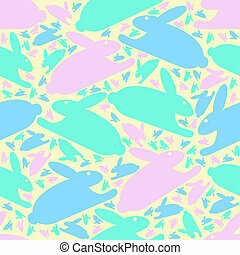 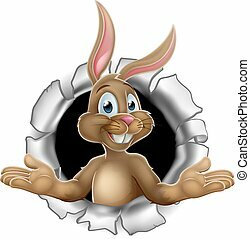 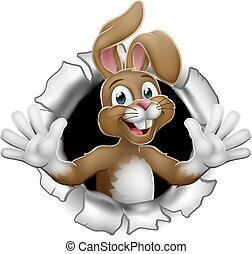 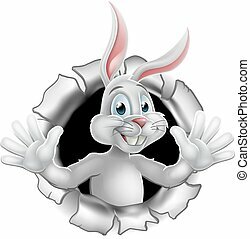 Easter bunny background. 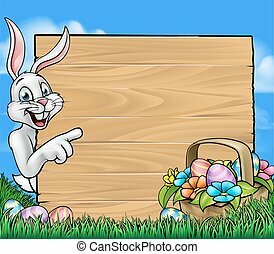 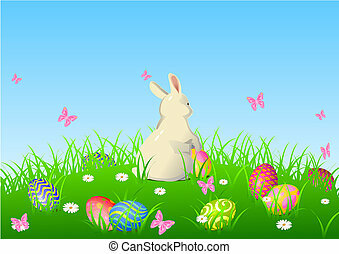 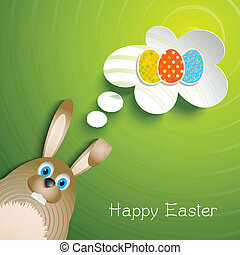 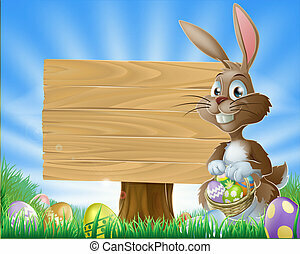 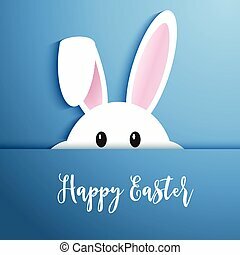 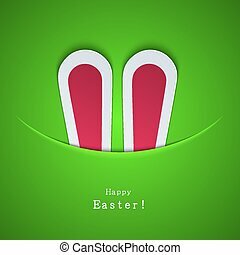 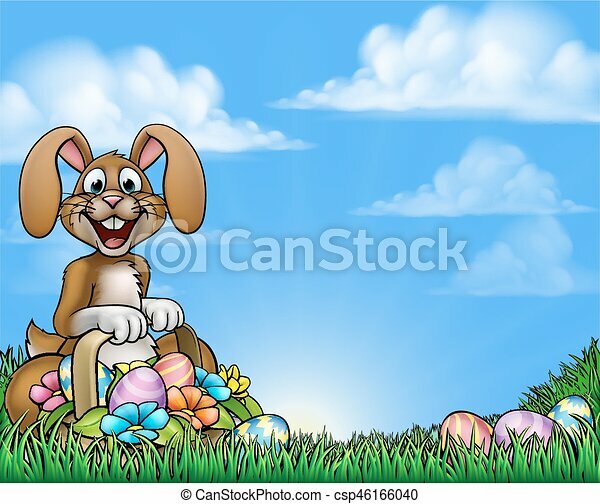 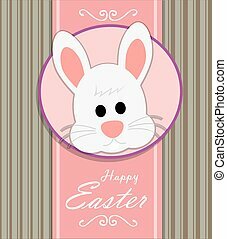 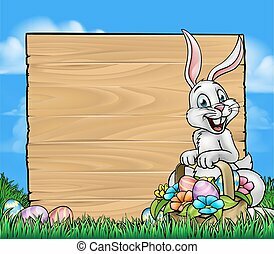 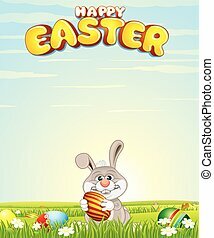 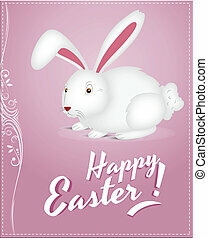 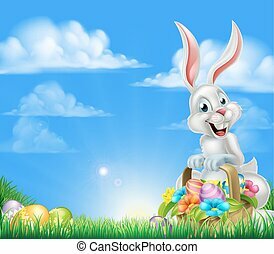 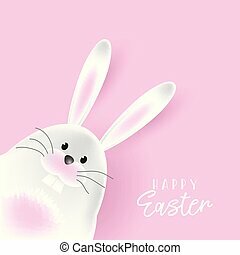 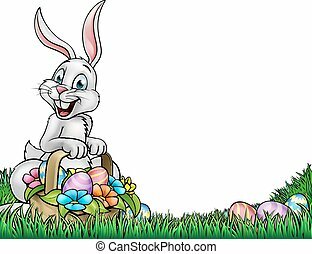 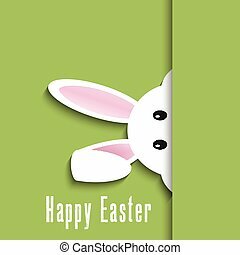 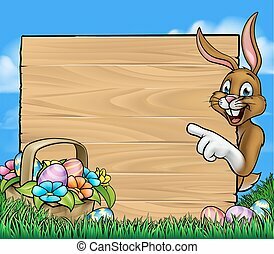 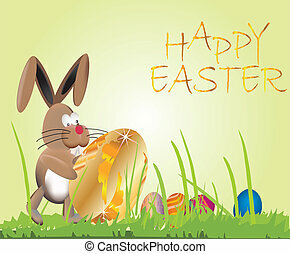 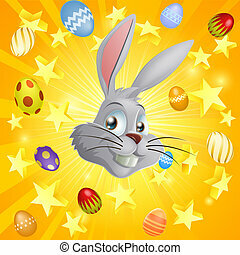 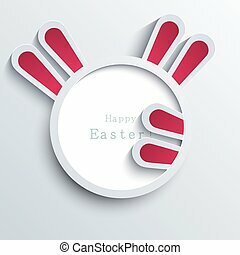 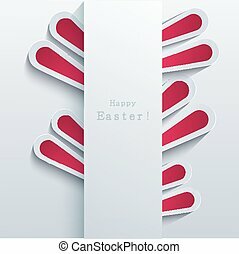 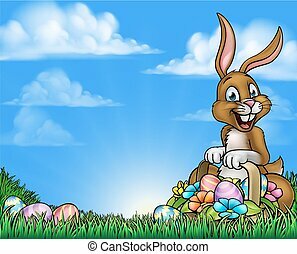 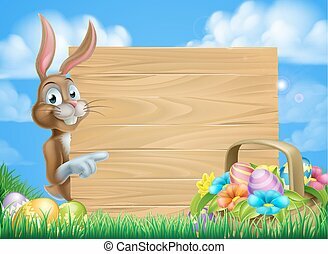 Easter background with the easter bunny rabbit holding a basket full of easter eggs. 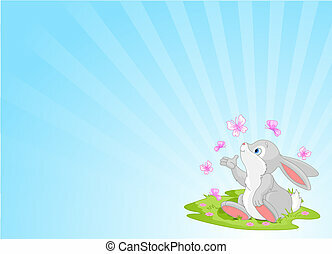 A cute Easter bunny sitting on the spring meadow.